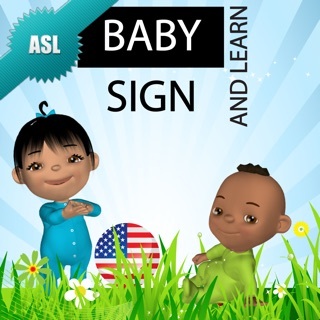 This fun ASL Baby Sign app offers over 170 ASL videos plus an interactive A-Z Picture Dictionary that's completely customizable. 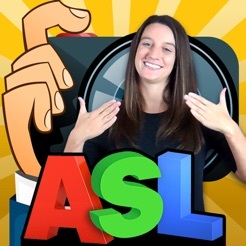 Julia Williams (certified ASL interpreter), Translates over 170 words into ASL. 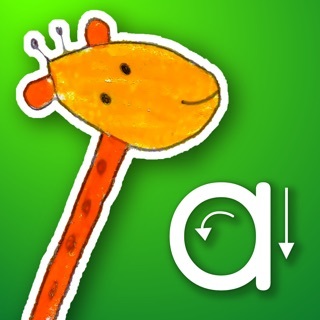 The first completely customizable ASL Baby Sign app. 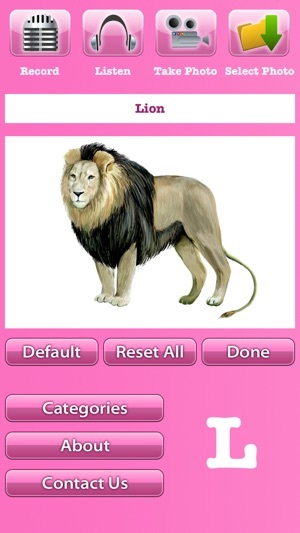 You don’t have to customize the app, we provide you over 26 A-Z flashcard images plus 170 ASL videos. 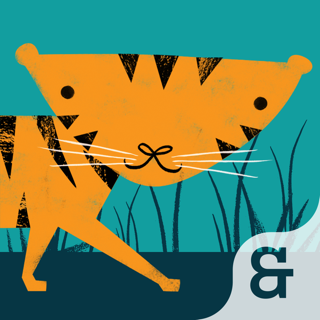 A fun interactive tool to get your child involved in the learning process. 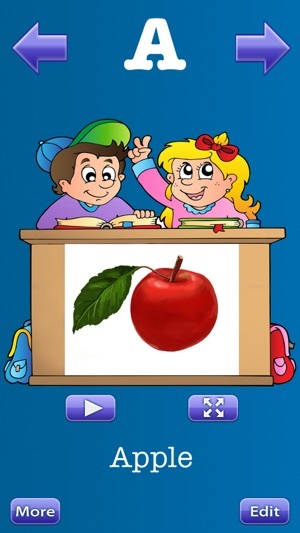 The most advanced ABC, alphabet, flash card, ASL Baby Sign app available. I should have paid more attention to the screen shots. Navigation is a little cumbersome. 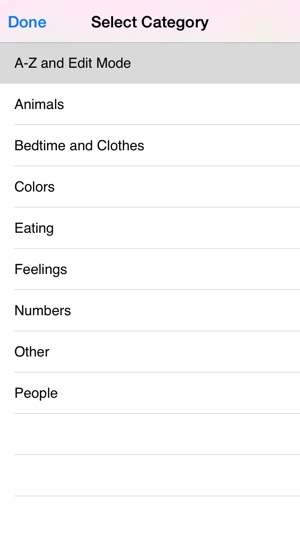 The MORE button really is a category selection. Edit button I am not even sure what to do with that and the child pushed it since its on the main screen and was just going to town and got confused. I am confused to with the edit button. May I make a suggestion to the app creator please, rather then have to push a play button and the full mode button, operate the video by touching the picture. Touch the apple and the video of signing Apple plays. Again, should have paid more attention to the screen shots. The video is played in a smaller window and we cannot always make out the hand gestures in the little window and the speed in which they are played so we have to watch it several times. While we would do that anyhow but it is helpful to use more of the dead space in the screen, the desk can take up a lot more room so the video is not so scrunched. 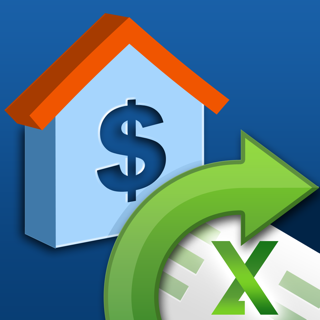 Yes you offer a expand button but that takes us back to the navigation topic. We are self-learning sign and so I have no expert to ask this question to, but several other apps signed Dog with two patts on the thigh. You snapped your finger in the air and patted the thigh once. So now we are confused on why the difference in signs? 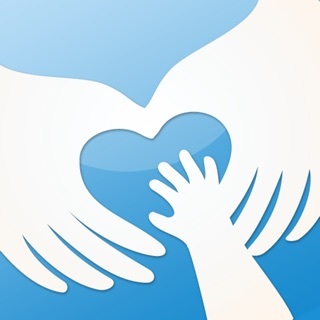 ASL vs baby sign maybe? 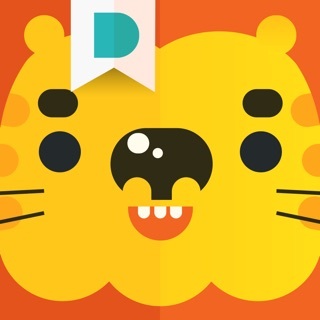 Overall the app is ok, but my child of age 5 skips this app and does not play it. Great app and clear videos, but you really need to put all of the navigation in one area so you aren't moving your hand back and forth so much between the play and next buttons. I'd love to see a list of all the words in each category. A search feature would be very useful too! I wouldn't mind terribly seeing alternative signs for some words as well, since I've seen alternative "baby signs" out there and some work better for our family than others! Although there's no lessons on sentence structure or grammar, nor a very extensive vocabulary, this is an excellent introduction to ASL.